If you’re going to take a Data Analytics bootcamp at Level, you should understand Experiential Learning to get the most out of it. Partnered with Northeastern University, Level uses experiential learning theories to teach on campus and online so that graduates are prepared for any challenges their jobs throw at them. 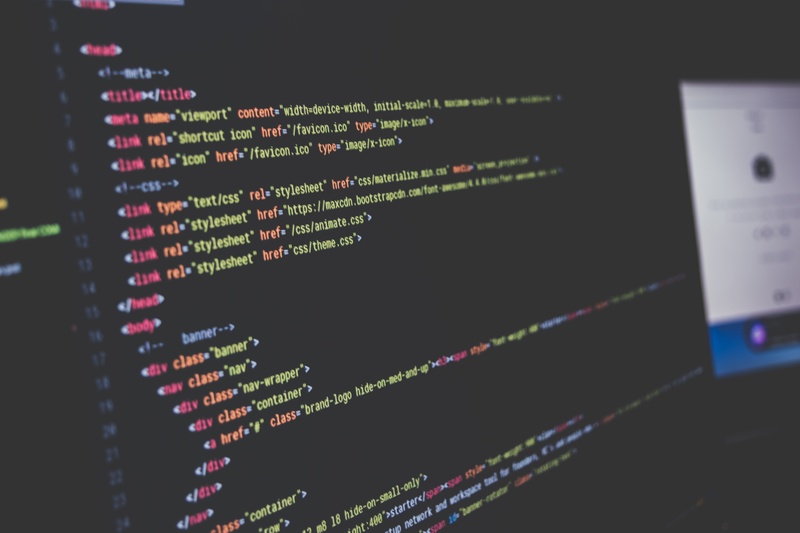 We spoke with Rebecca Rufo-Tepper, Director of Learning at Level, who explains the tenets of Experiential Learning and how students should expect to see those applied to a Level data analytics bootcamp. Rebecca, what’s your background and how did you get involved in the bootcamp world? I have been in education for over two decades – as a K-12 teacher, in higher education, and leading a non-profit focused on learning. I support instructors and educators and leverage best practices to make learning relevant and meaningful for students and ensure we provide them with experiences that allow them to excel, leverage their passions and interests, and be challenged. With such a long career in education, how did you feel about the bootcamp trend when it started to gain steam? I noticed that universities struggle with innovating; students’ undergrad work should prepare them to be career-ready. When bootcamps originally started, I was very interested in how they might provide alternative pathways for people who may not be able to afford a degree program as well as people who already have a degree and are looking to accelerate or transition in their career. I was interested about the potential, but was wary of a skills-based curriculum that is focused on drills and isn’t thinking about engaging the learner in ways they can succeed. There are so many bootcamps today - why did you want to work specifically with Level? Level is affiliated with Northeastern University which holds Experiential Learning as core to the university, so it’s also core to Level and has made it very special in the bootcamp space. Being a part of Northeastern means we can leverage the university’s best practices and resources and students can work with Northeastern’s career and professional services to develop their resume and job hunting skills. Because students have access to university staff, facilities, and experts, it feels like a holistic experience versus a bootcamp that does one thing. Level cares about the learner, not just about churning out people with a specific set of skills. It’s about helping students grow, understand themselves professionally, and discover how they can take what they’ve learned to be successful. Our programs are flexible to allow students to make the programs work for their schedules, which I think is also unique. Many students are used to the traditional classroom and being fed information. So what advice do you give students who are new to “hands-on” learning? How can they get the most out of Level from Day One? The way that traditional education has designed our learning environments is the opposite of how people learn. People learn best when they’re doing, trying, testing, and moving back and forth between theory and practice. It might feel strange at first but once you start, it’s a very easy shift to make because it’s what humans are designed to do. Think about something you’ve learned to do – how did you learn how to play basketball? If you were just reading about basketball, you’d never know if you were good at it. For Level students, hands-on, experiential learning builds over time – there are low stakes at the beginning and making mistakes is part of the process. Just remind yourself that this is how people learn and step into that space and become comfortable with it. It’s good to recognize those moments of tension when you’re pushed out of your comfort zone – that’s when you’re learning. And be sure to communicate if you’re struggling. Students are learning by doing with lots of hands-on work and connecting theory to practice. There’s also a large component of reflection and self assessment. You’re not waiting for an instructor to deliver a grade to know how you’re doing, you can check your understanding and know where you’re struggling and excelling, and recognizing your strengths and weaknesses. Experiential Learning works especially well in a bootcamp environment. To really understand something deeply is when you “transfer” - you learn a skill in the classroom and then you execute it in a different setting so it stays with you and becomes part of your learning trajectory. How will students see Experiential Learning when they’re at Level? 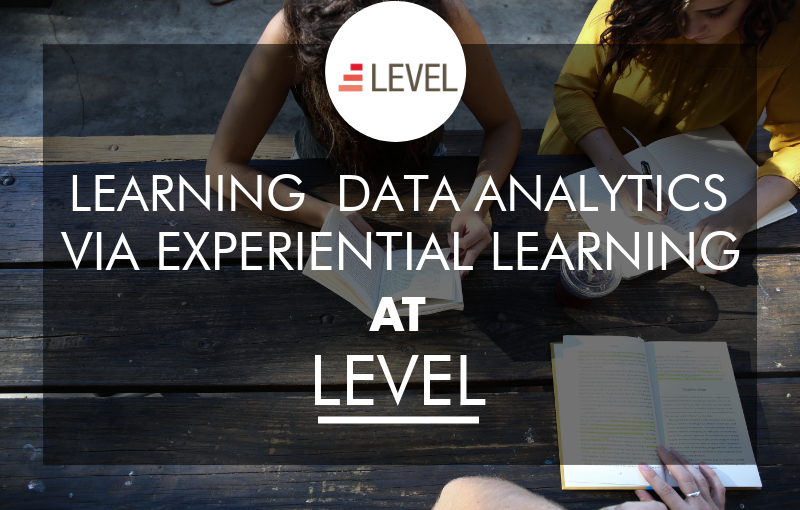 At Level, we have a few projects in our Data Analytics bootcamp that use Experiential Learning. xCases - These are case studies we’ve created with industry professionals that allow students to consider a problem from the perspective of an executive, focusing on what students might do in a data analytics role after they graduate. Using a data set, they determine what kinds of questions to ask, what they want to figure out, what kind of problem they want to solve. They have to apply learned programming skills to figure out a ‘best’ solution. Capstone Projects - Students work on individual capstone projects towards the end of their program. It can be focused in the field they’re interested in - perhaps where they want to get a job - and they use a publicly available data set, ask a question, go through the data to answer it, and put together a presentation. Experiential Learning might look different depending on the program length (a one-day workshop vs. a 22-week program) but there is always a real-world application for what you’re learning - you’re not learning skills in isolation or imagining what you might do, you’re actually doing it. At Level, we’ve embedded “Check Your Knowledge” self-assessments into the curriculum. They don’t count towards the grade, but students can take these assessments whenever they learn a new concept, check their own answers, and redo them if needed so they don’t have to wait for an instructor to grade and return it - they can get feedback in real-time. They can reflect on how they’re doing and get support, so that when they reach the higher-stakes projects and exams, they have had lots of chances to check their learning along the way. How does Experiential Learning prepare students for work in a real job? Ambiguity - As a Data Analyst, you’re going to face conditions where information isn’t complete or it’s uncertain. In the Capstone and xCases, we include a degree of ambiguity where you have to figure things out using deep critical thinking - the more times you do it, the easier it becomes, and you become more comfortable navigating ambiguity. Realism - In traditional education, teachers ask students to discover a specific outcome, but that’s not as realistic as it would be in the workplace. We design projects correspond to an actual business problems and leave the space for students to figure something out - there isn’t necessarily one correct answer or solution. Complexity - In the workplace, you don’t always know what decisions you’re going to make and what the outcomes will be. We include a degree of complexity that builds over time, leading up to the capstone project. The final Capstone project is the most complex, the most ambiguous, and the most realistic project the students do. They build these skills over time so that when they become a Data Analyst and face something in the workplace, it’s not paralyzing. It’s one thing to know the skills, know the content, and know the theory – it’s a totally different thing to apply that to the work environment. We try to give students as much experience as possible so that after they graduate, it doesn’t feel unsafe and they know they can be successful. What role does the instructor play in experiential learning? What should students expect from their instructors at Level? Level instructors come from the industry so they have the background, theory, and real-world experience and provide that lens for students. Along with the Teaching Assistants, they provide theoretical background for a deep understanding and bring out real-world relevant connections. The instructors are constantly moving between theory and practice, teaching lectures and then weaving it together in labs so the students are learning and then doing. All of our instructors are trained in the fundamentals of Experiential Learning and have access to curriculum designed to implement those concepts. Level teaches in-person classes in Boston, San Francisco, Seattle, Silicon Valley, and Charlotte, but also online in a virtual classroom. Is it possible to apply Experiential Learning to online learning? Our online programs all have instructors – you’ll always be meeting with someone virtually to do the same work as the in-person classes. However, that’s translated to a virtual environment through tools like Zoom that allow students to be interactive. We use Zoom breakout rooms to group students together and work on labs and the instructors can pop in and talk with the students. It’s very interactive - it’s not just sitting and watching an instructor on a screen, students get to interact together and collaborate virtually. Interested in learning more about Level’s Data Analytics bootcamp? Visit their website for more information and read reviews on Course Report.